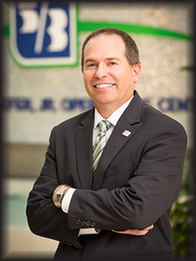 Andy has more than 27 years of experience in banking, all with Fifth Third Bank, in various capacities within Retail. For over 12 years, Andy managed a Top 10 Financial Center where he managed many business client relationships across various industries. His extensive background in client management is a great asset to his clients and to the team, as he is able to quickly identify needs and align partner resources to meet the challenges faced by his clients. His philosophy is to efficiently and effectively apply his knowledge and experience to assist his clients in reaching the goals and objectives necessary to achieve maximum success in their respective industry. Andy was born and raised in Cincinnati, and still resides there with his wife and three children. When he is not working, he enjoys playing golf and traveling. Andy continues to be active in his community and is a member of the Western Economic Council.